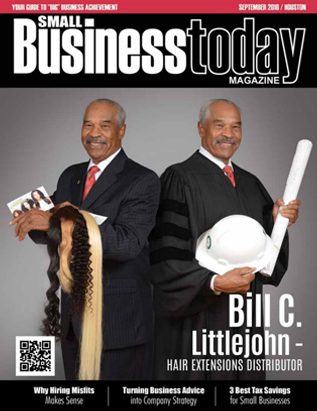 Small Business Today Magazine thanks you for your subscribing to our free business publication. Small Business Today Magazine is a business information and lifestyle magazine dedicated to providing beneficial information to our readers. If you are not yet subscribed to our publication please take the time to complete the information below and we will be more than willing to add you to our circulation list. If you are wondering if this publication is right for you then read our frequently asked questions about the publication below. WHO SHOULD SUBSCRIBE TO SMALL BUSINESS TODAY MAGAZINE? The following are all very good reasons to consider requesting a free subscription to Small Business Today Magazine. If any of the following describe you then you should become a subscriber of the publication immediately and study the magazine from cover to cover. Need to know which small business lenders that work with start-ups and business owners with less than perfect credit. And this list could go on and on. The previous is just a sample of the information that we will cover throughout the year in Small Business Today Magazine. Fill out the subscription form below to get your copy sent to you each month. WHAT IF I DON’T HAVE PLANS TO OWN MY OWN BUSINESS? Don’t be ridiculous! You and your very existence is a business. You, in name are a corporation and you alone are the CEO. Small Business Today Magazine discusses topics that help you in your entrepreneurial endeavors or in your employment endeavors. Whether you are working to win a customer or win the job, Small Business Today Magazine is a publication that will assist you in your success! WHAT DOES SMALL BUSINESS TODAY MAGAZINE PROVIDE ME? Small Business Today Magazine wants to play a vital role in discovering the underlying value in you personally and in your business. The articles and interviews in this publication are directed at solving problems for small business people as well as providing information to professionals that can be used to enhance their marketability.